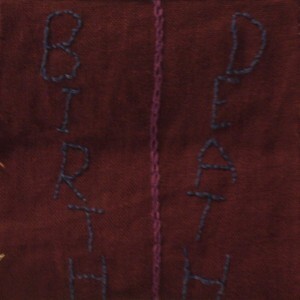 Following creating the piece with the strands- I moved onto create one for the June Normalbirth conference. There was so much that came out of that for me- a number of friends have been dealing with cancer, or fear of the loss of family or unborn babies, or long-term illnesses. I have been unable to write all summer but I was able to create this square that reminded me of the closeness of birth to death. 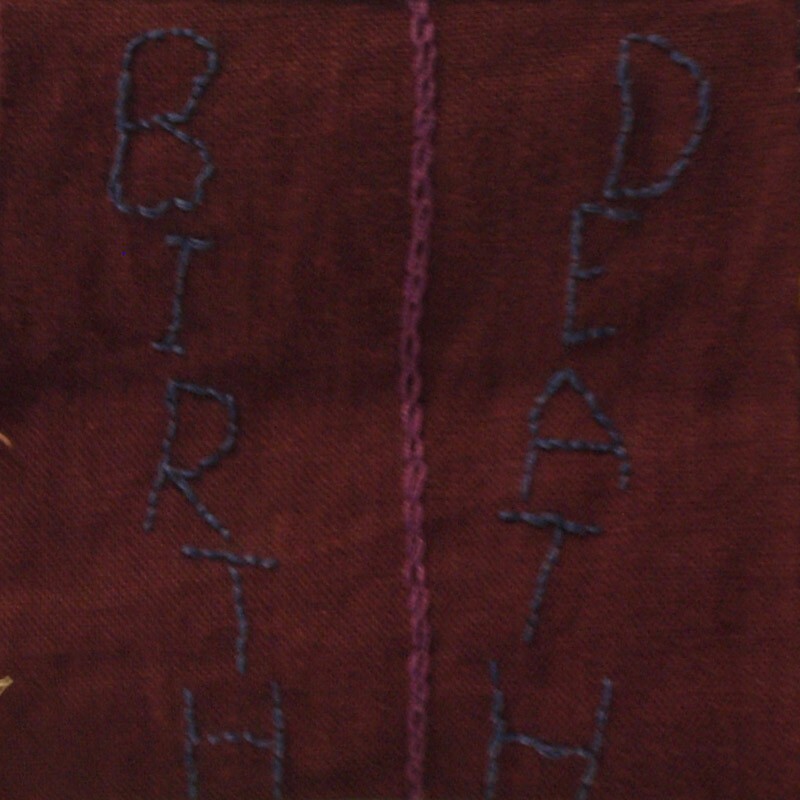 The spiritual nature is so close- the centre barrier is in chain stitch because there is movement between. The material used for these [past] three squares was the ones K2 was using for her textile pieces. These are reflecting to the journey she has been taking.